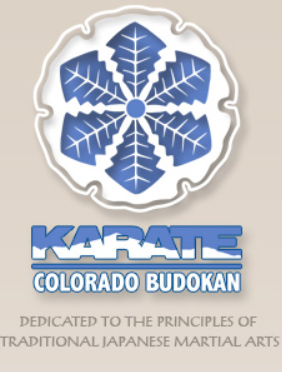 Top Rated Local® is pleased to announce that Colorado Budokan Martial Arts School, serving the Denver area, is an award winner for their excellent Rating Score™. Here’s how they build their exemplary reputation. You don’t stay in business for 30 years unless you do a lot of things right. That’s how long Colorado Budokan has offered karate classes in Denver, providing activities that foster focus, self-discipline, and physical fitness for kids, adults, and families. Clearly, it’s a rewarding experience that builds not only physical strength but confidence in students. Students are grateful for what the instructors at Colorado Budokan do, and that’s reflected in the business’ 99.7 Rating Score ™. Owner Candice Tsutsui took a moment to speak with us about how their reputation contributes to their long-term success. It all starts with the website. We have a great parent and instructor who redesigned our website 5-6 years ago, and we were very happy with that. He also designed all our marketing material. We always post on our website about events, which builds trust by having links to the national federation. My husband has a good reputation in the industry. He keeps up on the Facebook page, reposting etc. and boosts posts now and then. 2-3 posts a month. Students will write Google and Yelp reviews. Mostly people just review on their own due to the great quality of training. We’ve been in our current location for 12 years and taught at Colorado Athletic Clubs. Gary teaches at School of Mines (karate class for credit) 15 years and has been in the field for 50+ years. He won bronze world championships in 1977. He’s the first and only American male to medal in that event. Not a big box feel. We teach traditional Japanese Shotokan karate which is the most popular style of karate in the world. Gary loves teaching children. Has the patience to teach them and the kids enjoy it. He has a clear vision of what type of karate he wants to teach; the core values of Respect, Diligence, Perseverance, which helps teach children respect and discipline. We teach self-control and self-discipline, so children learn self-control and can be better people. It’s so important for the parents to follow through as well. We are an extension of what children should be learning outside of the dojo. I’m a physical therapist by profession and we know an occupational therapist that recommends us to some of their patients for children that have issues with ADHD. We are committed to teaching values of traditional Japanese karate and by doing that – not just skills of self-defense – we help shape future generations. Karate serves as a base for people to get more grounded and to stabilize their life. It’s not just an exercise class. Boosting posts on FB and traditional word of mouth. We have a parent that helps at some level with our marketing efforts. Don’t give up on your dream. Think outside of your own Dojo. Everybody markets with a look at what we are doing, but we post more about how to achieve a higher level of personal success. My advice is to find a good mix of events and pictures of what you do, competitions, testimonials etc but also include motivational stuff, videos, things that cross promote dojos or partners for instance. How do you achieve a higher level of personal success? How do you help your clients and improve their lives in tangible, meaningful ways? How do you develop a stellar online reputation over decades? It seems the answers to these questions are all interrelated at Colorado Budokan. They live a business model that improves lives and engenders success. They’re passionate about education and self-improvement. If this was just a glorified exercise class with disengaged instructors, they would not have the reputation they enjoy today. That kind of focus and discipline are a lesson for us all.